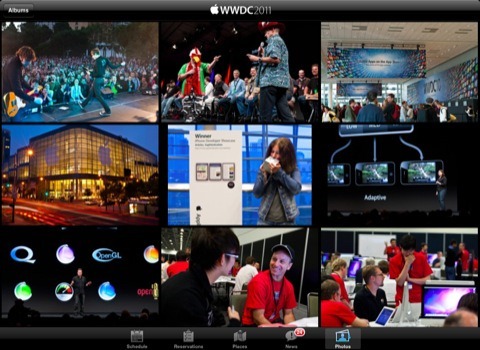 Apple has unveiled a WWDC 2011 iOS App, featuring content directly related to the conference, which will kick of next week, on Monday, June 6th. Can you feel the excitement in the air? 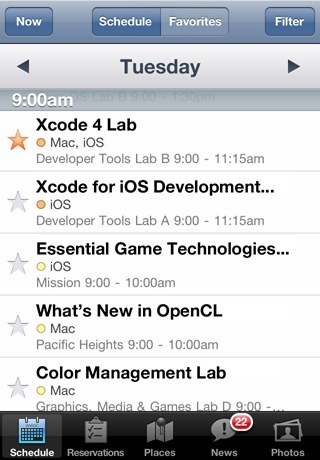 The new app, which works on both iPads and iPhones, allows attenders to look at floor diagrams of the Moscone Center, the convention center where the conference will be taking place, as well as make reservations for sessions at the conference, look at the schedule of all the sessions and make your own schedule with the sessions you’ll be attending. Tap on the detail view of any session, lab, or event. Then tap "Add to Favorites". Your selections will be added to the Favorites section of the app and can be updated on-the-go. WWDC, which stands for "Worldwide Developers Conference", is a yearly conference held by Apple to keep developers updated with the company’s latest technologies and systems. Yet, the conference has long had a broader appeal to anyone interested in technology, since consumer products are sometimes have often been shown off at previous WWDC’s, including new iPhone hardware, for three years in a row, as well as new Mac OS X releases. Earlier this week, Apple issued a press release announcing that the next-generation iPhone and iPad operating system, iOS 5; Mac OS X 10.7 and iCloud, a new Apple-owned internet service would be discussed at the conference. As expected, we don’t yet know any official details about those products, but we’ll find out all about them on June 6th. This app isn’t only useful for developers, but for journalists as well, who will likely be following every second of the conference (trust us, we will), as well as anyone interested in Apple products. 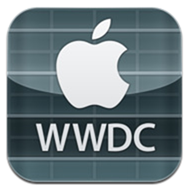 If you’re interested in Apple at all, you should download the WWDC app from the App Store onto your iPhone, iPod touch or iPad. It’s completely free.